The first Android 9.0 P developer preview seems to be almost finalized, is it coming soon? Google has the habit of releasing early developer previews for Android in early Spring and it looks like this tradition of sorts is sticking around. Unraveled in a code commit on the dedicated Android Open Source Project repository is a rather tell-tale message stating "The future is now (2018 edition)" proudly welcoming anyone who dares to venture to this page right here. Well, we hate wishful thinking as much as the next guy, but if that's not a dead giveaway that the developer preview of Android P is just around the corner, we don't know what is. Usually, the operating system's early previews arrive without any warning and surprise anyone in the blogosphere that's even remotely invested in Android. Not all new features are available in these developer-centric early alpha versions, but the majority of changes made by Google are up there. We already know that Google I/O '18 will take place between May 8-10, and naturally, version 9.0 of the popular OS will be among the chief topics detailed on stage. A recent puzzle game developed by Google to showcase the invite for the upcoming developer summit rather obviously hints at the name of Android 9.0 being Pineapple Pie, but we wouldn't take this one for granted given Google's history of casually trolling us this way. As far as what features could end up being on Android 9.0's feature list, our guess is currently as good as yours. So what? Only a handfull of phones will get it when it launches anyway. Hate that. Google has to put more time into optimizing it's currents version of it's OS instead of rushing forward to use all the letters in the alphabet as soon as possible. Anyways, a lot of phones will get it. So because companies (and in some cases carriers) don't play well with updates, Google should stop developing features and consequently Android versions? And what is the point of optimizing the current version which means companies still have to push out that update as well. Yes, most flagships (except Sony's and a few others) are still on 7.0..
Do you work for Sony or did they adopt you? Jokes aside, the fanboyism on this site is quite... creepy..
Why? Even the 2016 (!) XZ received Oreo in November(! ), while the G6 and S8 are still on Nougat. Btw, I have never worked for Sony, and never will, as I'm a student in a complete different field. Oh, and I'm a happy LG user. Love my G6, despite its shortcomings. 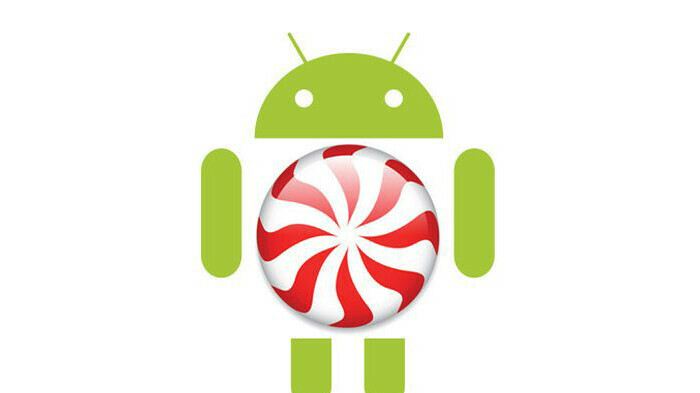 Android "Pancake" or Android "Peanut butter Jelly " Android "Pecan Pie" Android "Pizza"
Or...Android "Peppermint", going by that above image. Enough already?most phones don't ever have Oreo?now 9?